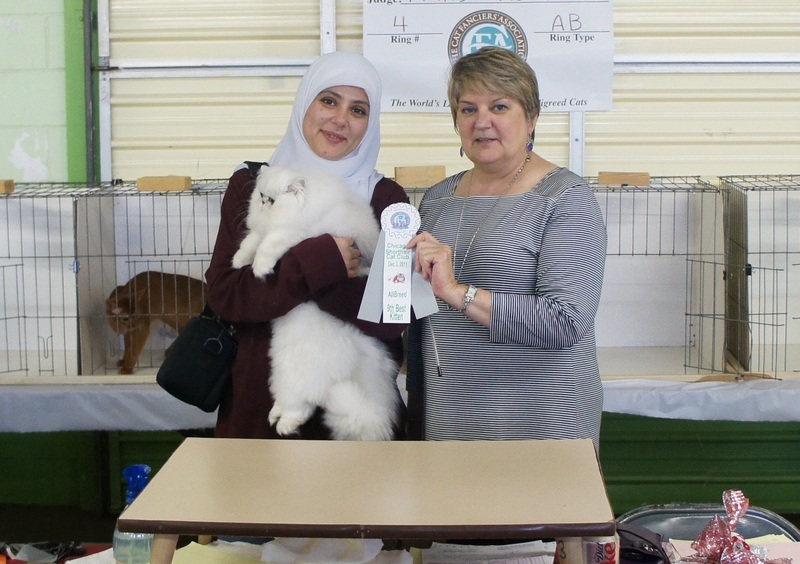 Our lovable silver chinchilla Persian kitten Simbakui’s Al-Sultan of Silverdonia blew us away at the Chicago Shorthair Cat club’s CFA show 12/3/2011!! Out of 63 kittens he was the highest scoring kitten of the show and made 5 out 6 finals including one BEST All Breed kitten!! 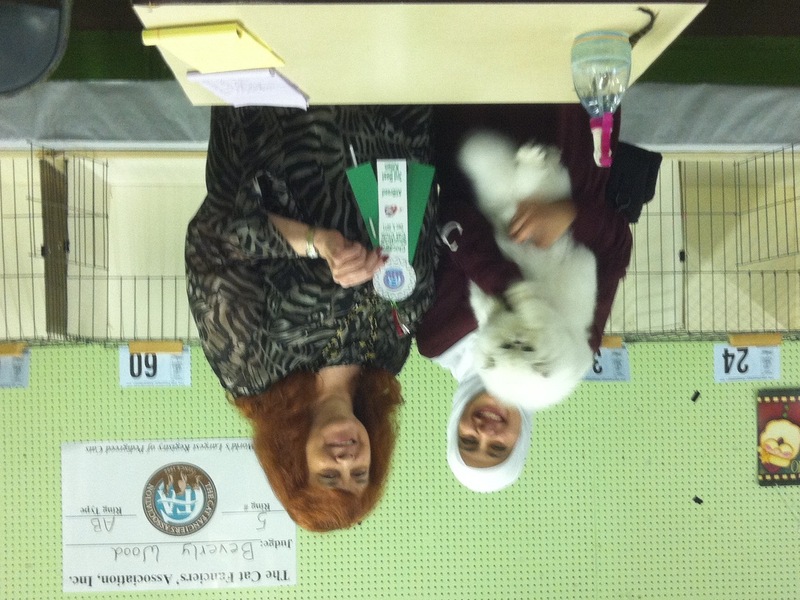 Our sweet princess Maha also became a new Champion and our big girl Shahms made one best of breed! This really was a very nicely run show with all the great and friendly people of the Midwest region, thank you all for a great show!! 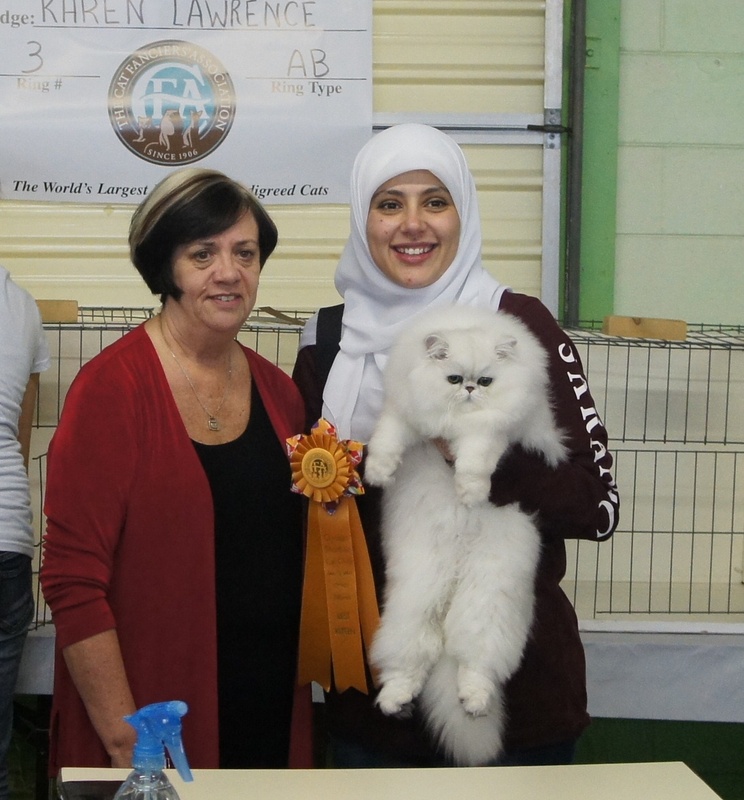 We appreciate the great judges who believed in our boy and a special thank you to Karen Lawrence for making him her best all breed kitten of the show!! Our sincere gratitude to everyone who made this amazing accomplishment possible and our kitties couldnt be happier with the great gifts attached to the ribbons, thank you!